In this programme Delores Whelan speaks to Dr Mary Condren who tells us about the importance of recovering the Divine Feminine into the narrative of our lives. Dr Alison Lennon brings us around the Graveyard at Faughart and talks about the Medieval church, and other artefacts including Brigid’s Well. Fr Tom Hamill tells us about the mindfulness that reflecting on the words and life of St Brigid evokes. 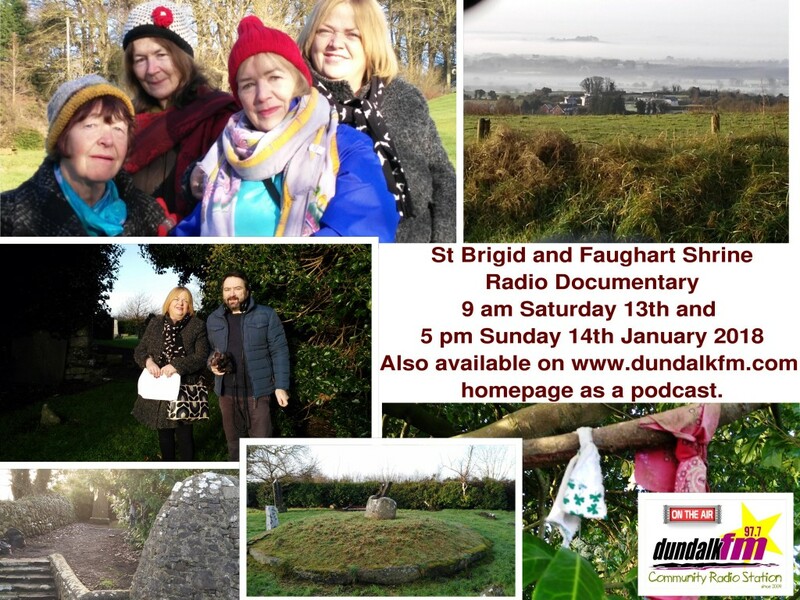 At the St Brigids’s Stream, Maura Lennon, May Coyle and Delores have a conversation about Brigid, spirituality and sacredness and peacefulness of Faughart Shrine. There is music from Ann McDonald, Michael McHale and Lá Lugh. 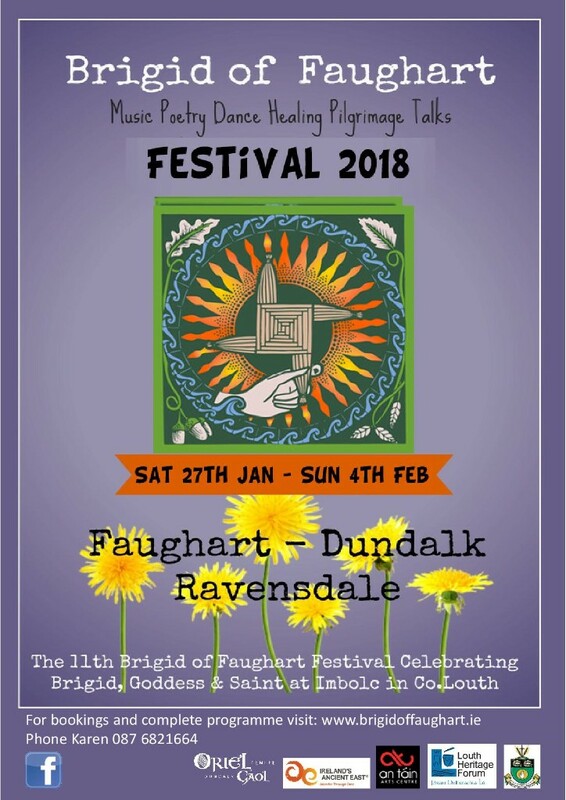 Pilgrimage from Dundalk to Faughart and Exploring the Sacred Sites of Faughart Saturday 27thh January. Dr Sharon Blackie author of “If Women Rose Rooted “ lecture and forum exploring the need to reconnect with our native feminine wisdom. Celebration of Brigid in Song and Prayer with Carmel Boyle, Ann Mc Donald, Dolores Whelan, Fr. Tom Hamill on Lá Fheile Bhride, 1st February, The Oratory, Faughart. Day of Healing, 1st February, 1-8pm, Healing sessions in various modalities available. Brigid Cross Making with primary school children and adults. ‘The Wooing of the Soul’, a one woman play. Stories & Conversations for a Healthy and Resilient Culture facilitated by Davie Phillips. An Evening Weaving Poetry, Music and Song in An Tain Arts Centre. Closing Ritual, Ravensdale Community Centre, 4th February.